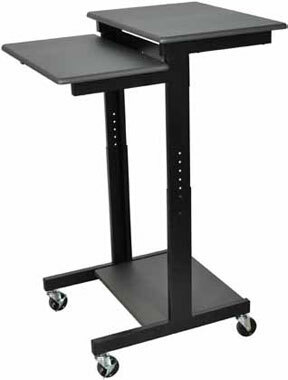 This height adjustable computer workstation with a long lasting dark wood laminate surface is ideal for making presentations using your laptop or desktop. 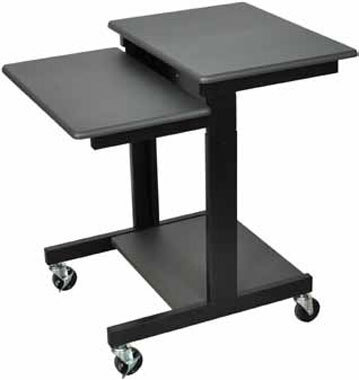 Experience the comfort of it's mobility offered with casters that lock, hence keeping equipment on the workstation stable. 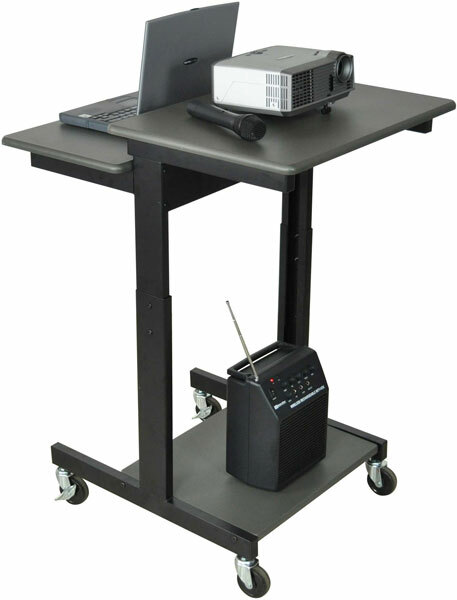 Made with a sturdy steel frame, adding to the durability and reliability of this product. Height Adjustable from 39" - 45"